Life isn’t just about living, it’s about living well. If your loved one is struggling to keep up with housework or abandoning fresh cooking for freezer dinners, a homecare professional can help. Sometimes the signs that your loved one is failing to live as well as she could are very subtle. Your parent or grandparent may maintain a clean home and continue to shop and cook, but you notice that it is all that she can do to maintain these routines. Your loved one deserves more from life than just sustaining herself. By providing home care to help with the necessities, your loved one can live well and have the energy to enjoy doing the things she wants to do. The right diet can do a lot to help your loved one live to her potential. Not only does a well-balanced meal provide the required vitamins and minerals to keep your loved one healthy, but a varied routine and thoughtful planning can bring a lot of pleasure to your loved one’s life as well. 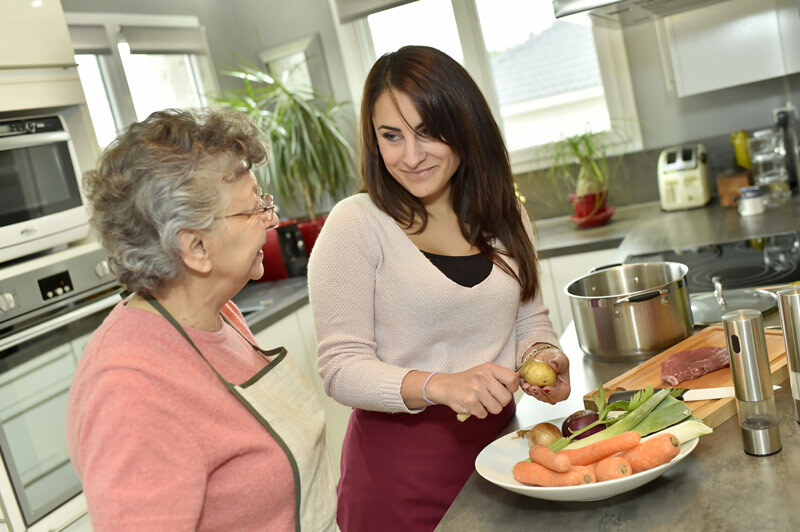 Pacific Angels Home Care can help your parent or grandparent plan meals that follow a doctor’s dietary recommendations. Many older people suffer from diseases that can be improved by diet. Your loved one’s doctor may recommend a special diet to improve the symptoms of arthritis or a diet low in sugar to control diabetes. Whatever your parent or grandparent’s doctor recommends, it is important to your loved one’s happiness and health to follow those guidelines. A certified caregiver can meet doctor recommendations while making sure that meals are still wonderful. The best-planned diet won’t help anyone if your loved one refuses to follow it. Individuals suffering from Alzheimer’s or dementia may refuse to eat or be very picky about what they want. Our caregivers are trained and vetted in caring for elderly clients with these diseases. With our Alzheimer’s disease and dementia care plan we provide delicious meals that tempt even the most peckish client while carefully following doctor recommendations. Furthermore, since we understand these diseases so intimately, we know how to work with your loved one to encourage her to eat well. Pacific Angels Home Care can provide interesting new foods to stimulate new ideas and interests. We will get to know your loved one well and take input from you and other family members and friends to find out what your loved one has always enjoyed eating so we can plan her favorites for her. By balancing healthy meals with indulgent favorites, a well thought-out meal plan can bring pleasure and health to your loved one’s life. 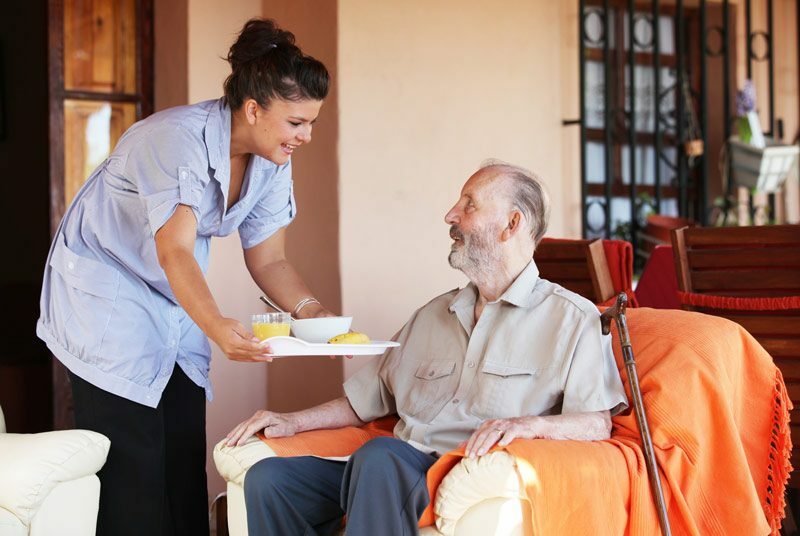 Whether an elderly person subscribes to a grocery delivery service, shops for her own groceries, or both, a home care professional can make the process easier. These days there are many services available to bring fresh groceries as well as storable essentials straight to your loved one’s door. 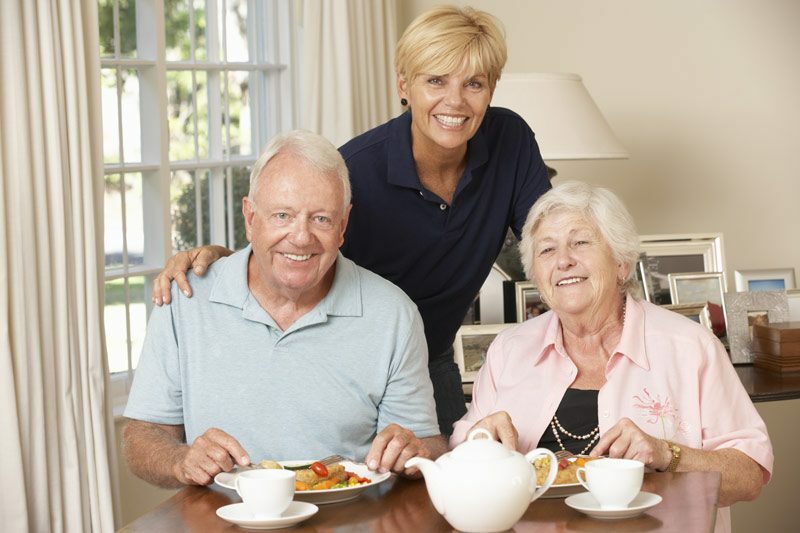 Pacific Angels Home Care can help you and your loved one choose a meal delivery service that will work well for your needs, whether it delivers groceries, ready to cook food or finished meals. As thorough as grocery delivery services can be, there are some things they just can’t do. A home care professional can run around getting pastries or fresh bread from a certain bakery or cold cuts from the neighborhood deli, anything that makes your loved one’s life special. Many older people would prefer to continue grocery shopping as they are accustomed to, at least on their good days. Pacific Angels Home Care makes grocery shopping safe and fun on good days, and can do it for your loved one on the days when she doesn’t feel up to it. Cooking can be a lot of work, both mentally and physically. Sometimes your loved one may enjoy the challenge and exercise, but at other times she would rather enjoy a program or read while a delicious meal is prepared. Meals can be made to eat by a home care professional or cooked ahead and frozen or refrigerated. A professional caregiver will come to learn your loved one’s specifications, whether she likes very crispy bacon and unusually strong tea in the morning or sardine sandwiches in the afternoon. Your loved one may not have the energy to prepare for herself the meals that she craves. Too often, an older person simply doesn’t eat when they can’t have a meal that interests them. Our caregivers can cook meals just the way your loved one likes them, from groceries that are exactly to your loved one’s preferences. If you’d rather not have home care all the time, meals and snacks can be made ahead and stored conveniently. Even if your parent or grandparent has the energy to make a home-cooked meal for herself, it may be too much to have to clean up afterward as well. A home care professional can take care of the cleanup so that all your loved one has to worry about is enjoying dessert. Sometimes, just the thought of having to clean up after will deter your loved one from cooking a healthy, delicious home-cooked meal. If your parent or grandparent has always loved to make cookies from scratch or prepare a complicated entree, allow them to continue to enjoy their hobby without having to worry about taking care of the mess. Our home care professionals treat your loved one like their own family. They learn exactly how your loved one likes things cleaned up and put away and follow instructions so that your parent or grandparent is comfortable having someone in her kitchen. When our home is clean and fresh, we just feel better. Let Pacific Angels Home Care take care of making the bed, sweeping, dusting, and other miscellaneous housework so that your loved one doesn’t have to worry about it. The little housekeeping chores are often the first things to be sacrificed as your loved one slows down and spends more time focusing on taking care of essentials. It is easy for all of us to miss the dust accumulating on the ceiling fan or a bit of extra filth under the couch, but these details become even harder to notice and attend to as we get older. Taking care of the cleaning details makes a home look and feel fresh and clean in a way that you may not be able to put your finger on. Furthermore, eliminating dust and ensuring that mold does not develop will keep your loved one’s home safer. Whatever makes your loved one’s life great, allow her to continue enjoying it with home care. A home care professional can make it easy for your loved one to follow a doctor’s dietary restrictions while continuing to enjoy all of her favorite meals prepared in the way that she prefers. 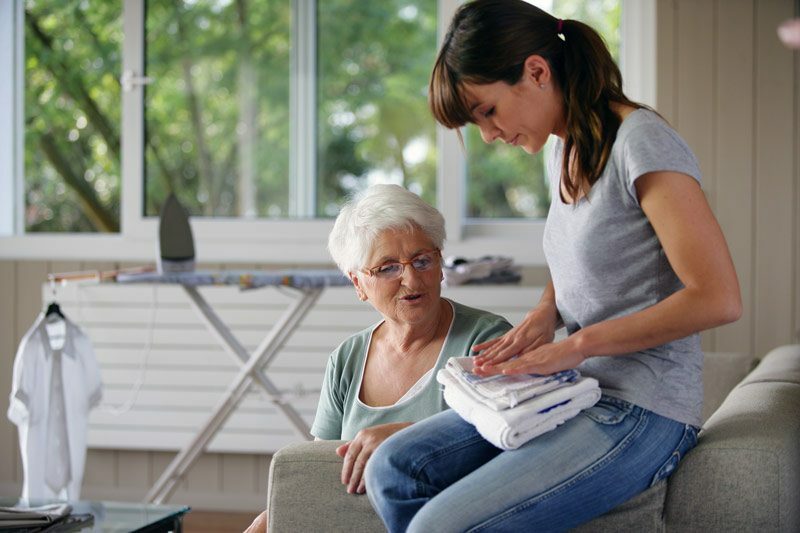 Pacific Angels Home Care can keep your loved one’s house looking great and assist with all of the little necessities so that your loved one can focus on enjoying life. Home care lets your loved one keep living the good life. If you are in the Santa Cruz or in the Aptos, California area, request a free in-home care consultation or call Pacific Angels Home Care at (831) 612-6435.